From the late 1950s until the late 1980s, scientists in both the United States and the Soviet Union were working on computer networking in one form or another. Why did the US succeed where the Russians failed? That’s the subject of a new book titled How Not to Network a Nation: The Uneasy History of the Soviet Internet by Benjamin Peters. 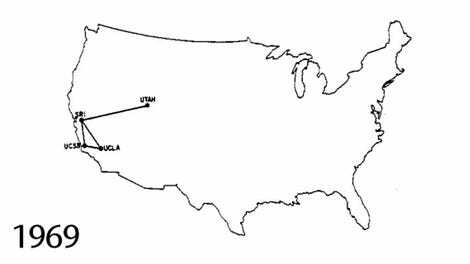 The ARPANET breathed its first baby breaths in 1969 when the first host-to-host connection was made from UCLA to Stanford on October 29th. From there, landmark achievements would be made with tremendous help from American military and university money, including the development of email (invented in the early 1970s) and the establishment of protocols that make the modern internet tick (like TCP/IP). I talked with Peters about his new book and asked about things like cybernetics, the fictional town that Soviet computer scientists imagined that they worked in, and why some Russian computer scientists adopted a jazz-playing robot as their mascot. The TLDR version of why the West beat the Russians when it came to building the internet? According to Peters, in the beginning the capitalists behaved like socialists, while the socialists behaved like capitalists. Paleofuture: What is cybernetics and why does it matter when we study the history of the early internet? Benjamin Peters: Cybernetics, in simple terms, is a postwar science for self-governing systems. And it matters because although nobody uses the term anymore, and it has basically been an institutional failure, it is also the intellectual milieu in which the 21st century information age has emerged. In other words, cybernetics has a way of talking about a consolidation of vocabulary, that even though that consolidation we don’t talk about anymore, the vocabulary is really relevant. So like self-governing systems—can you think about systems that find balance or are sustainable anywhere in the universe? Can you talk about biology, like a human body? Can you talk about an artificial system, like a complex set of circuits or computers? Can you think about human society? All of these things are different systems and cybernetics puts them all into the same conversation. And that’s pretty much how we still think about the information age today, more or less. Paleofuture: So tell me about Cybertonia, what was it? Benjamin Peters: So Cybertonia was a virtual country, as well as a sort of fantastical work club among leading Soviet scientists in the 1960s. They imagined during the day time that their work was serving the Soviet state and then after work they imagined a world outside of Moscow’s rule. Cybertonia issued its own constitution, its own currency, its own passports, its own wedding certificates, as well as newsletters and academic publications, all in a fantastical and kind of Merry Prankster-ish way of imagining their own political space or their own country outside the Soviet Union. Another way of saying that is that Cybertonia is sort of a countercultural moment in the Soviet 60s. It’s the connection between counterculture and cyberculture in the Soviet Union. Paleofuture: I saw images of a robot playing a saxophone in the book. Explain to us, why a robot playing a saxophone? Why was that their mascot in Cybertonia? Benjamin Peters: These scientists appointed this saxophone-playing robot as not only their mascot, but as their supreme leader as an open gesture to the cold war cultural import that is American jazz. So this is sort of a playful subversive way of signaling that they weren’t entirely pleased with what the Soviet authorities were telling them to do. They wanted to appeal to a more fun-loving and free style of technical performance—something that not only jazz does but something that they do inside their math. Paleofuture: So why does the US version of the proto-internet prosper whereas the Soviet versions failed? Benjamin Peters: Because capitalists first behaved like socialists while socialists first behaved like capitalists. In other words, the ARPANET took shape thanks to collaborative research environments and state funding while the Soviet networks at the same time fell apart due to unregulated competition and infighting among the relevant institutions. the soviet union had all of the technical brilliance, censorship cultures weren’t sufficient to keep their networks down, and even the hierarchical state wasn’t a problem. Their problem, something that I think we can recognize today, is sometimes we don’t get along. And this institutional infighting or unwillingness to transfer knowledge and power is what kept the Soviets from building their own information age—from networking their nation and building electronic Socialism. 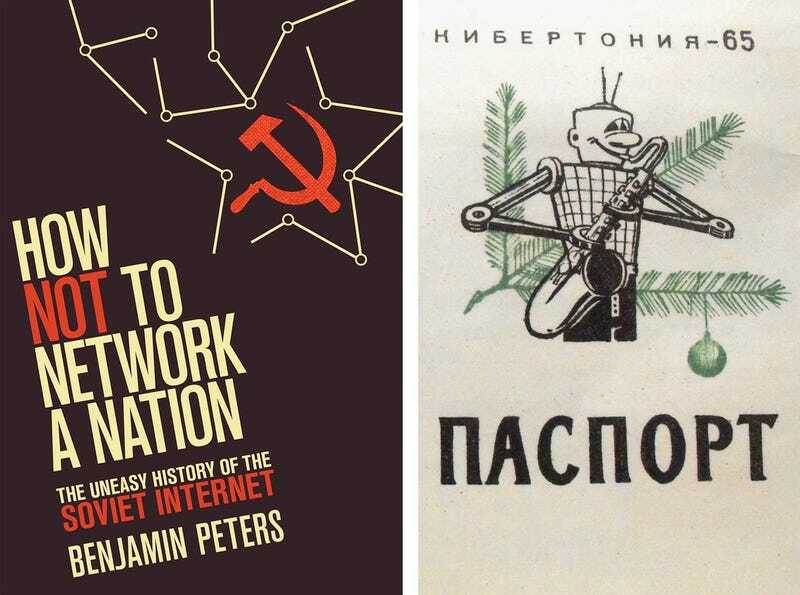 You can pick up How Not to Network a Nation: The Uneasy History of the Soviet Internet by Benjamin Peters wherever books are sold.